Archive for the ‘2016’ Category. The wave missed Oregon, again. The past three wave elections, 2002,2010, and 2014 were all great for national Republicans. None was a particularly great for Oregon Republicans. Why is that? Sure, in 2002, Gordon Smith turned what had been an expected close race into a landslide victory and the Republicans held the state legislature despite the huge reshuffling, some might say gerrymander, of districts by the Democratic Secretary of State after the 2000 Census. However, the Republicans failed to win the Governor’s Mansion. The open seats in 2002 and 2010 were there for the taking, some might say. Why weren’t they? The most obvious, and probably simplest, reason is that the Republican nominees in these years just weren’t ready. Kevin Mannix, a social conservative, was simply too conservative for the Oregon electorate. Heck, he was too conservative for the Republican Primary electorate. Jack Roberts and Ron Saxton, both to his left on a wide range of issues, together won a landslide majority – had they not split the vote. Chris Dudley simply had no resume. Oregonians haven’t elected an inexperienced Governor since 1938. And that year Charles Sprague was the editor of the Statesman-Journal. Oregon Republicans should nominate their best and brightest, not their afterthoughts, for Governor. You never know what might happen. Turning back to 1938 might give us some inspiration … the Eugene Register-Guard endorsed Sprague in the Primary and staunchly backed him through the year. However, their endorsement in the Primary was something less than optimistic. They liked Sprague well enough, but they wrote that he didn’t stand much of a chance against popular Democratic Governor Charles Martin. Not only was Martin popular, but Democrats had been winning wider and wider margins nearly everywhere in the country since 1928. A funny thing happened, though. First, the Democrats didn’t re-nominate Martin, Instead, they chose a very liberal nominee. Second, 1938 turned out to be, in relative terms, a wave election for Republicans. They made major strides nationally in 1938. These two in combination made Sprague Governor. This graphic shows the Democratic turnout bump by recent presidential elections. It provides some indication of how the environment was. 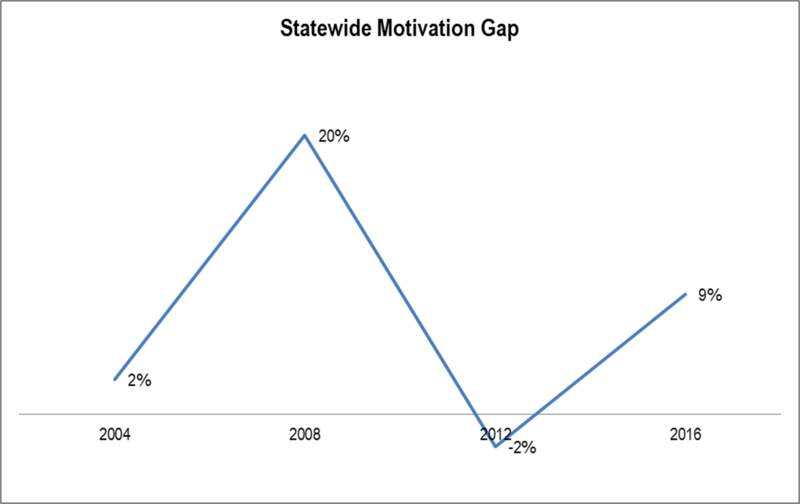 This takes a statewide measure to minimize the impact of local turnout bumps. To no one’s surprise, 2008 was a very good Democratic year. Next comes 2016. The 2004 was what used to be considered a very good Democratic year, until 2008 came around. The 2012 election was actually a lean Republican election and similar to those during the 20th century. What does this mean about the Eugene races. First of all, Pat Farr increased his vote share from 60% to 65% with a turnout swing against him of 11 points – quite a feat – especially considering his opponent had a first-class resume and was scandal free. Second, though you might think this would explain Mike Clark’s landslide loss for mayor, what really comes across is, despite all the bouncing of the turnout bump size, the progressive candidates for mayor didn’t cross 55% in 2004, 2008, or 2016. Mayor Piercy had no serious opponent in 2012. Source of data: Oregon Secretary of State Elections Division. Methodology: The turnout bump equals the difference between the Oregon statewide Democratic and Republican turnout percentages. Clark’s fundraising and spending were nearly all concentrated near the May election date. Vinis’ fundraising and spending were spread out comparatively evenly from July of 2015 through the May Primary. Vinis’ expenditures started earlier than Clark’s, but he caught up and passed her in April. Vinis’ contributions started earlier than Clark’s, but he caught up and passed her in April. The undervote, as expected, was highest in the university precinct. However, it was relatively higher in north and west Eugene as well. Source of data: Lane County Elections. 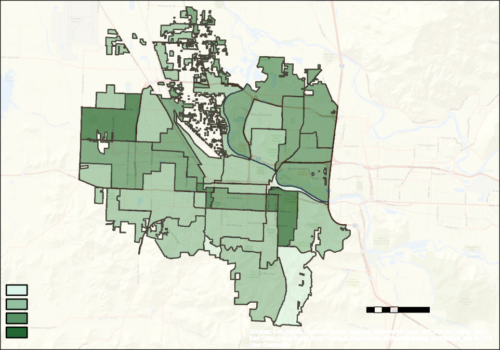 For a more detailed map: eugene-mayor-undervote-may-2016. Clark did much better in north and west Eugene. 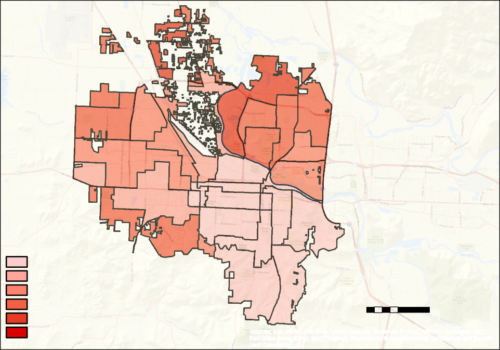 For a more detailed map: clark-vote-pct-may-2016. Vinis’ strongest area was in south-central Eugene. This map has the familiar pattern of previous mayoral contests. 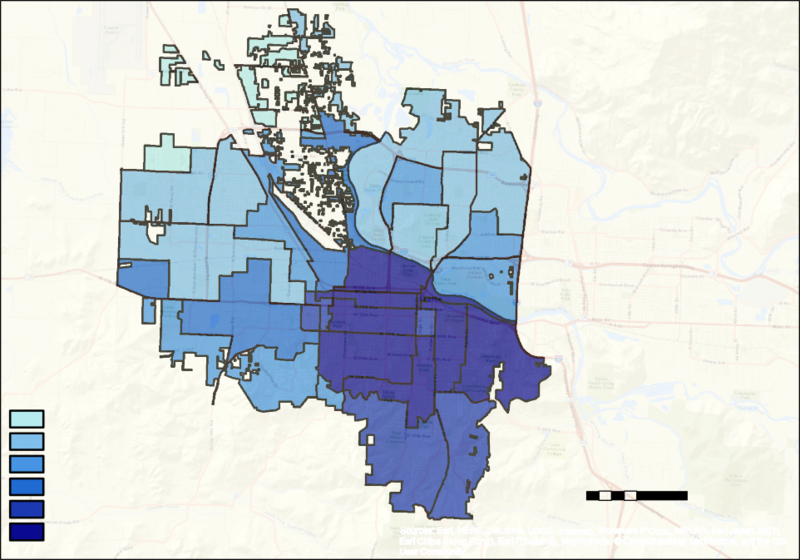 North and west Eugene largely voted for Clark and south Eugene largely voted for Vinis. The difference is one of degree and of inroads. 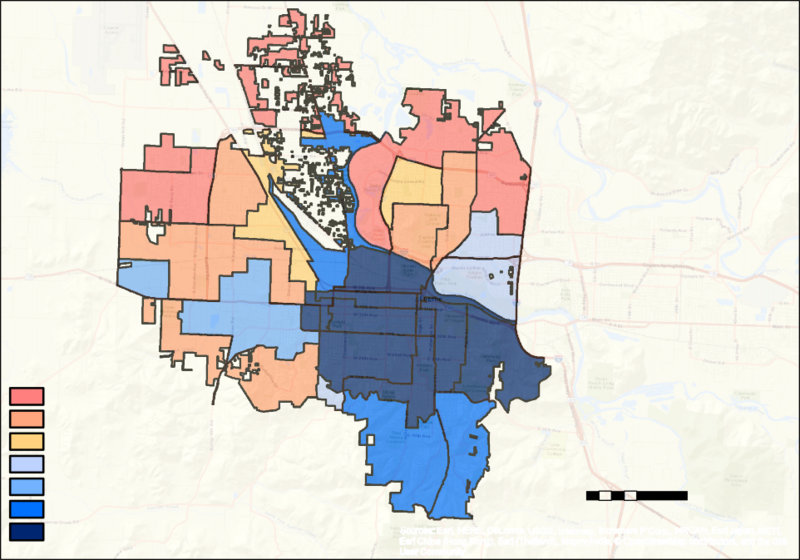 North and west Eugene were not as supportive and Vinis won several north and west precincts. Compare the 2008 mayoral race: http://lindholmcompanyblog.com/?p=3482.